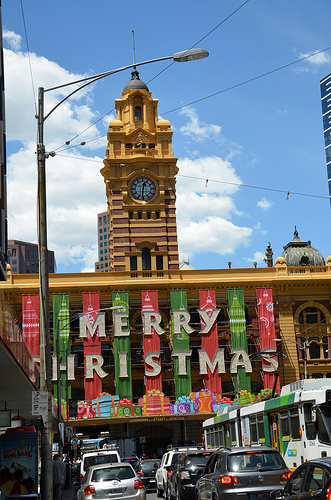 With several Christmas activities being held concurrently at various locations, Melbourne CBD is a great place to experience the festive atmosphere of the Christmas season. Below is a list of Christmas events that I have sourced from the internet. 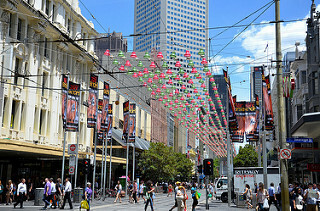 The City Square at 44-86 Swanston Street, Melbourne is renamed Christmas Square during December. 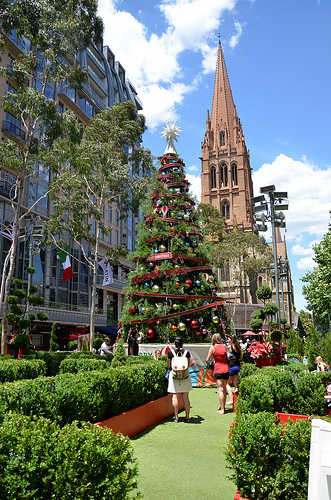 A 9.2-metre tall living Christmas Tree. Rudolph and his reindeer friends amongst the hedge maze. 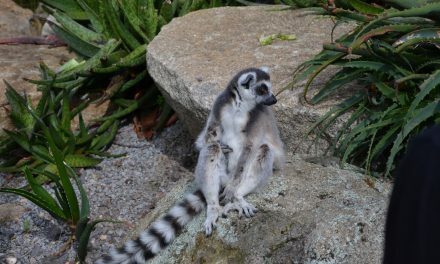 Nightly sound and light shows at 9.30 pm and 11.30 pm. 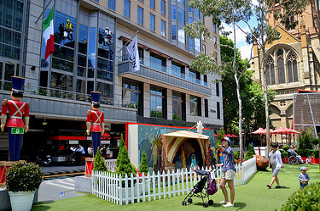 The Santa’s Post Box, presented by City of Melbourne and Australia Post from 16 Nov to 16 Dec, allows visitors to send letters directly to Santa. Just include your postal address and get a reply from Santa himself. 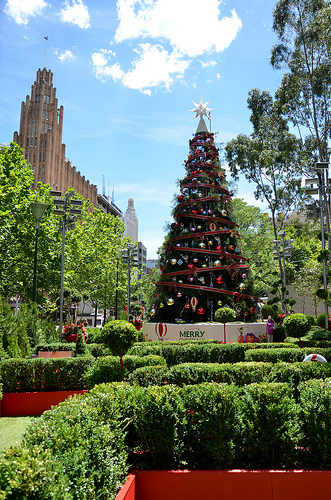 The Christmas Square is open daily from 10am to 10pm from 1 Dec 2012 to 3 Jan 2013. A team of 8 artists and designers from “The Electric Canvas” has projected a kaleidescope of colours with various themes and accompanying music onto the Melbourne Town Hall 9-11 pm nightly from 30 Nov to 25 Dec 2012. 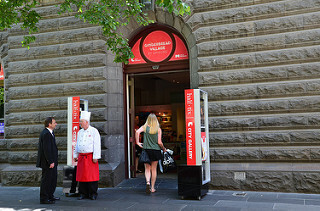 The Gingerbread Village was first displayed in 2011 at the City Gallery, Melbourne Town Hall (90-110 Swanston Street). It is created by Melbourne’s leading caterer EPICURE to support the Starlight Wish Granting Programme – a program driven by the Starlight Children’s Foundation in granting once-in-a-lifetime wishes for seriously ill children. 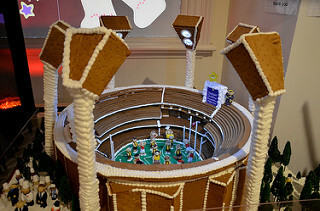 Entry to the Gingerbread Village is by a nominal gold coin donation which will go to the program. All donors will receive a cardboard gingerbread to place on the EPICURE Christmas tree that is purchased from Vision Australia. Visitors can purchase delicious gingerbread men, women and love hearts. 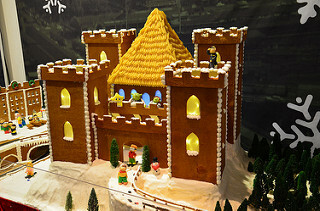 There will also be a special ice cream stall just outside the entrance to the Gingerbread Village where cooling cups of deluxe gingerbread ice cream will be on sale. 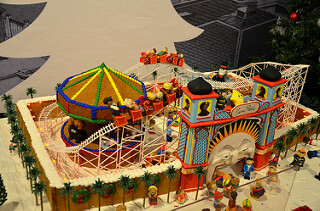 The Gingerbread Village is open from 1-24 Dec 2012, 9 am to 5 pm daily. 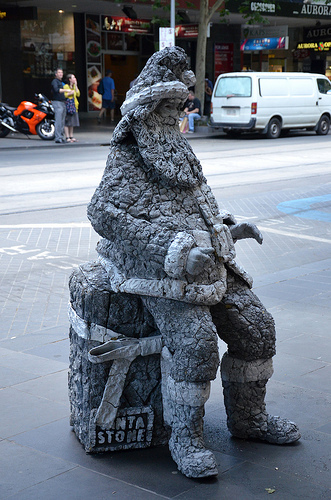 an installation of “In The Pines” comprising over 250 recycled plastic Christmas trees by local urban artists. live music performances featuring local musicians and community choirs. family portraits by a professional photographer. 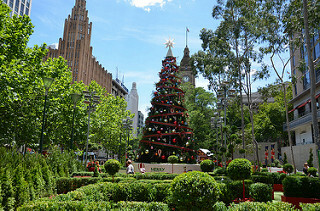 Carols by Candlelight is an Australian Christmas tradition that originated in southeastern Australia in the 19th century and was popularized in Melbourne in the 1930s. 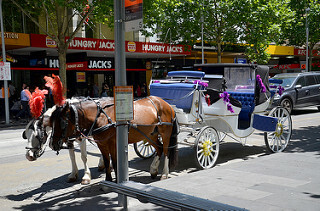 The tradition has since spread around the world. 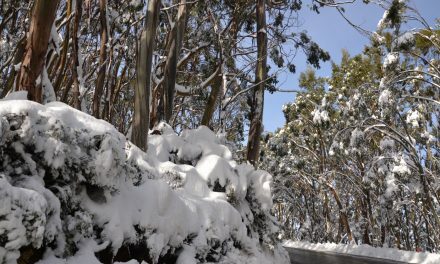 It involves people gathering, usually outdoors in a park, to sing carols by candlelight accompanied by a band. 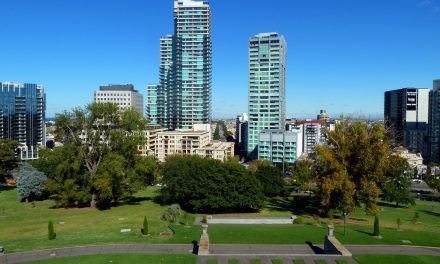 Today, the largest such event is held annually at the Sidney Myer Music Bowl in Melbourne’s King’s Domain Gardens on Christmas Eve since 1938. In 1949, Vision Australia (then known as the Royal Victorian Institute for the Blind) became one of its main benefactors. All proceeds from the event now support Vision Australia’s services for children who are blind or have low vision. 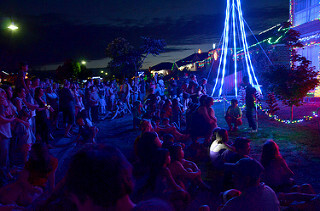 Each municipality also holds its own Carols by Candlelight event. You can view one here. 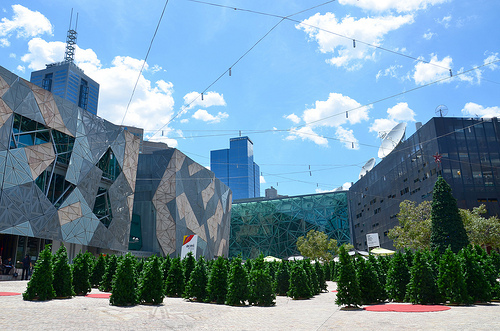 Apart from the night events, there is also a “Carols by Daylight” at Federation Square, which is in its 6th year. This is a variety concert featuring special guest celebrities, the Australian Schools Orchestra Project, TeenRockTV, Hello Music Land friends Dimmie Drum and Penny Piano, and of course Santa Claus. 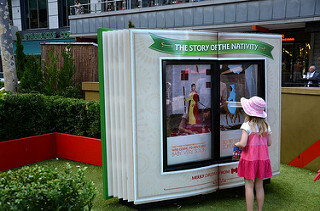 Each year over one million Australians and overseas visitors view the iconic Myer Christmas Windows to see the specially selected theme – chosen from a story book, nursery rhyme, a film or even the theatre – brought to life with animated window displays. 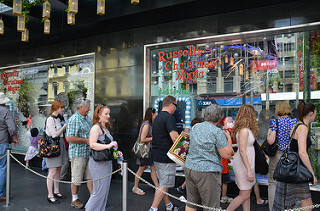 Christmas Fantastic is a light, sound and 3D projection show featuring the “Twelve Days of Christmas“, running on 15 minute rotations from 10am to midnight daily from 25 Nov 2012 to 6 Jan 2013. It features 98 highly-decorated, gigantic Christmas baubles “scattered” throughout the Atrium in various sizes. Open to the general public, guests of this event will enjoy live entertainment including a special performance by Rachael Lehcar, Christmas Angel dancers and of course a visit from Santa! 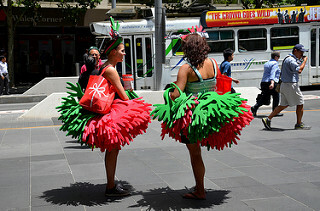 Carols at Docklands is a free event held on Sunday 23 Dec 2012 from 5.30 pm to 10.30 pm. 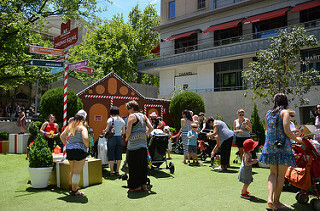 The kids’ carnival begins at 5:30 pm with entertainment, face painting, fairy floss, a jumping castle, rides and much more. At 8 pm, the carols begin with special guest artists Stan Walker, Evermore, hip-hop group No-Limits, a spectacular fireworks display and of course a visit from Santa. You can visit the Chill On Ice Lounge during December to view a selection of interactive Christmas carvings. The Chill On Ice Lounge is chilled to -10 degrees and is made out of 50 tonnes of carved ice. Everything within the Ice Lounge is made of ice – the walls, the chairs and this year even Santa and his elves!